Just a quick post. Today was very busy and draining, but there was a special delivery waiting when I got home from work! 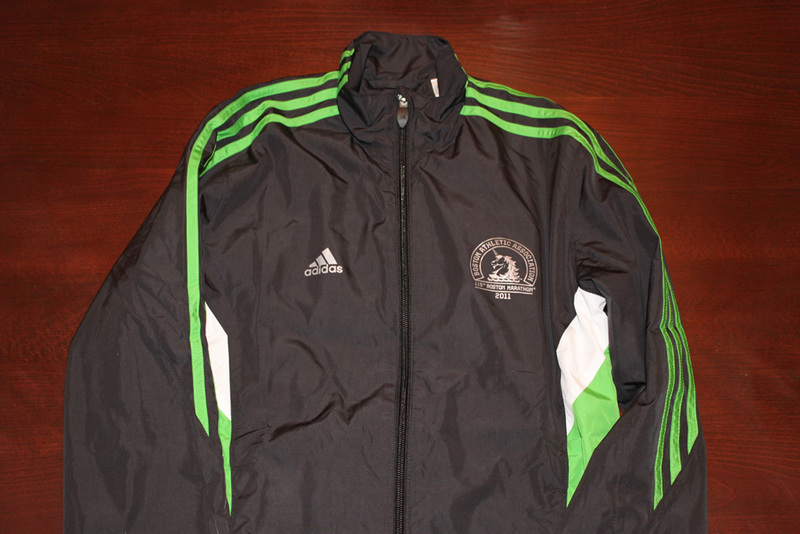 I got the adidas Boston Marathon Qualifier Track Jacket. 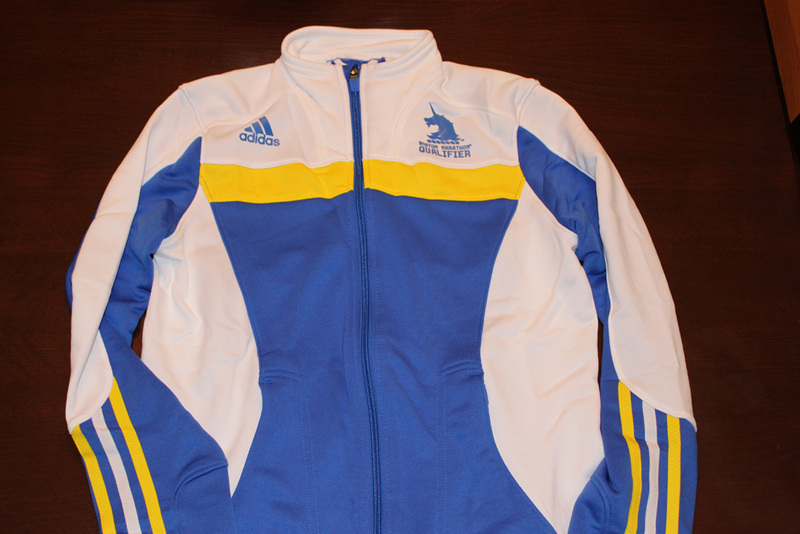 I will definitely be buying all things Boston Marathon, so I had to start with the jacket! 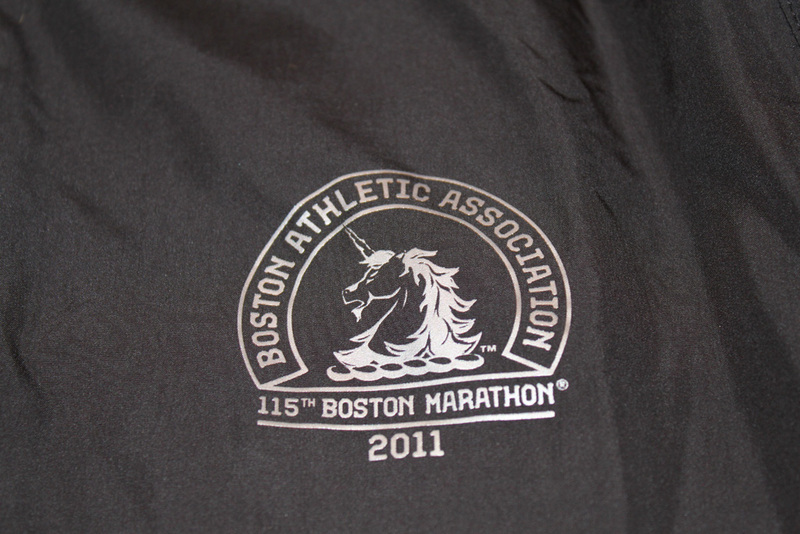 I didn’t want to wait and have to worry about getting a small at the expo, so I went ahead and ordered it early. OMG those are freaking awesome!!! Congratulations again 🙂 I love the green!! 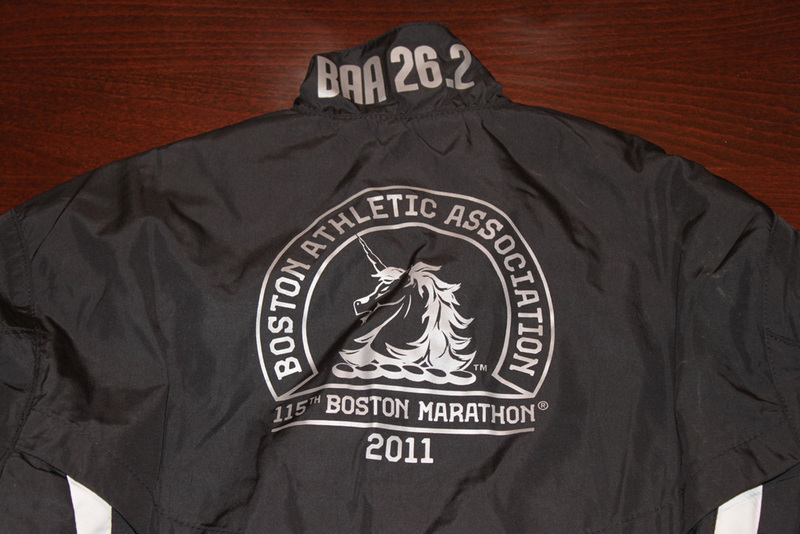 Oh, congrats…and that Boston qualifier jacket is just awesome! I know it’s really “girly” of me, but I’ve always loved the unicorn decal…It’s kinf of like hockey’s Stanley Cup, though, you know? You can buy one of those jackets, I’m sure, but if you didn’t really qualify for it, it’s not the same thing! Congrats again…you’ll do just fantastic in the race, I’m sure. I look forward to reading about your journey to Boston!